Powerful patrol cars, fast motorcycles, and superheterodyne two-way radios combine to fight crime on the rural highways of America's wide open spaces. "Whenever the laws of many states are broken, a fully organized organization swings into action. They may be called the Troopers,the Rangers,the State Police or the HIGHWAY PATROL." This is how each show started and I remember it almost fifty years later. My dad's sold Fords at the time and he didn't like the Buick's and Oldsmobiles saying. "Police forces don't drive high priced cars." It was a really good show. I'd like to see it again. I remember watching reruns of Highway Patrol with my mother back in 1973 that aired from Philadelphia, PA on a syndicated station at 9:00 every morning. 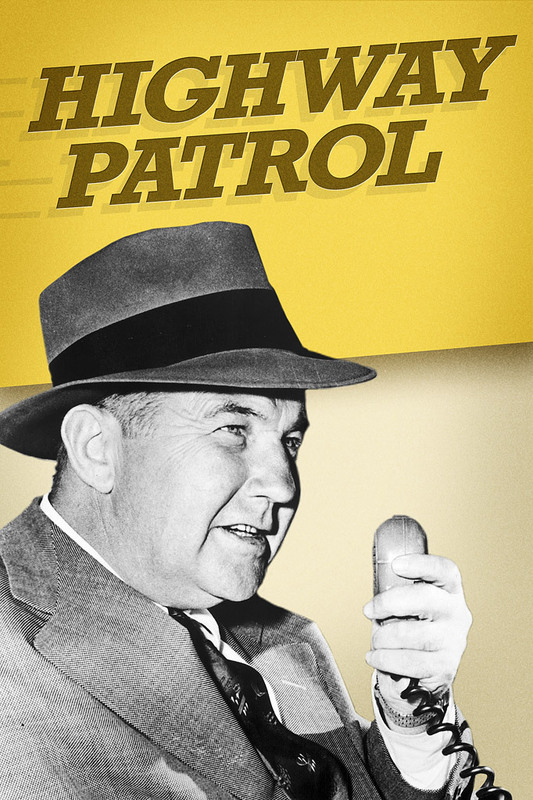 I loved seeing Broderick Crawford (who was from Philadelphia) and his gravely voice and those lovely jet black patrol cars, in glorious black and white. Right after this show was over we switched the channel to the Senate Watergate hearings which were fascinating, to say the least.